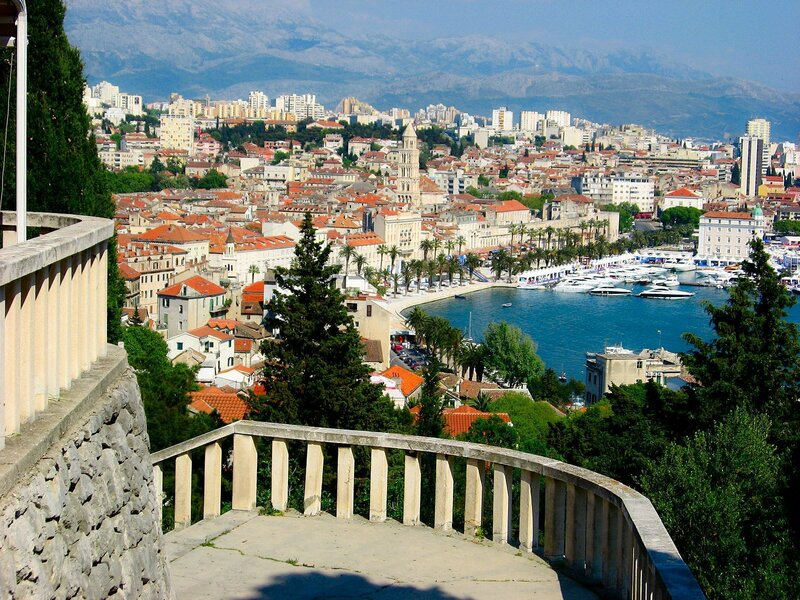 Split is the second largest Dalmatian city in Croatia right after Zagreb. 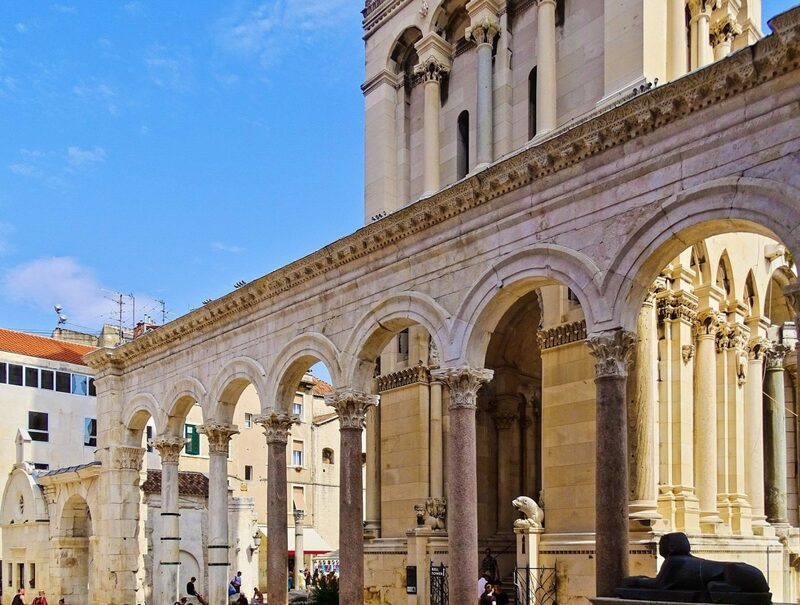 It is your typical Mediterranean city with a lot of culture, charm, history and of course delicious food but Split has a way of making you feel like you have travelled back in time. 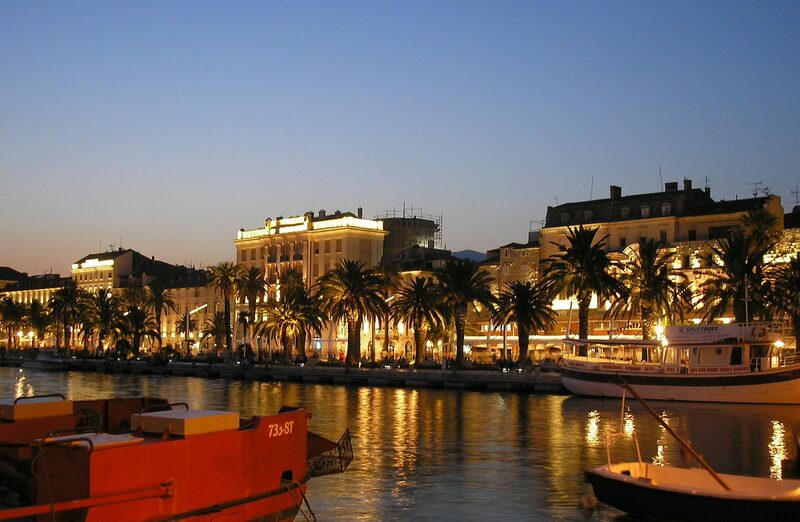 Split has this contagious energy which will make you fall in love with this ancient city. It is a popular transport hub so you if you are just passing by to a different part of Croatia we highly recommend spending a couple of nights in this vibrant city and exploring its beauty and history. We have handpicked some of the best things to do in Split. 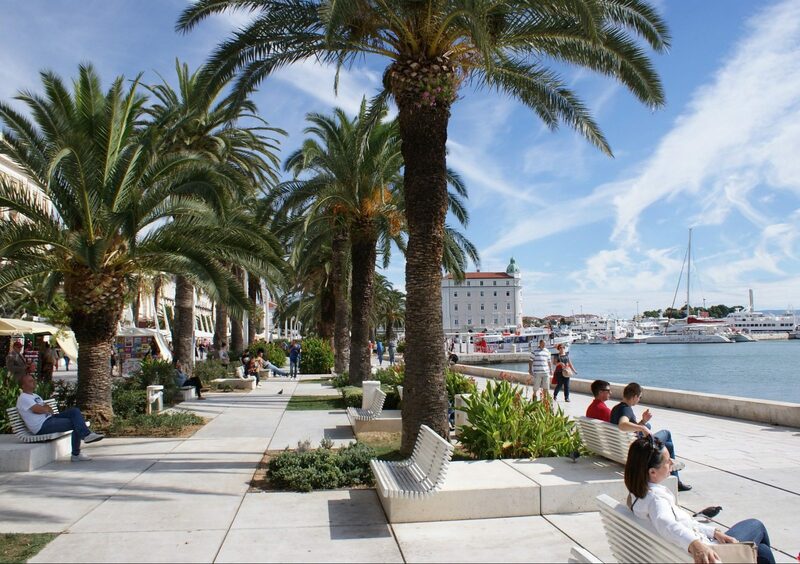 The waterfront promenade is the heart of Split, it is lined with palm trees, cafes, restaurants and souvenir shops. The best time for a stroll along the promenade is early evening just as the sun is setting. The energy along this promenade is contagious and one to take in, it is ALOS A perfect to people watch. A bit of history about the promenade: the promenade has been recently refurbished AND as you would expect this didn’t go down well with the local as it removed the well preserved Roman architecture feel along with their traditional red umbrellas and replaced it with a white on white theme. You will straight away notice the difference between the old town and the modernised promenade. 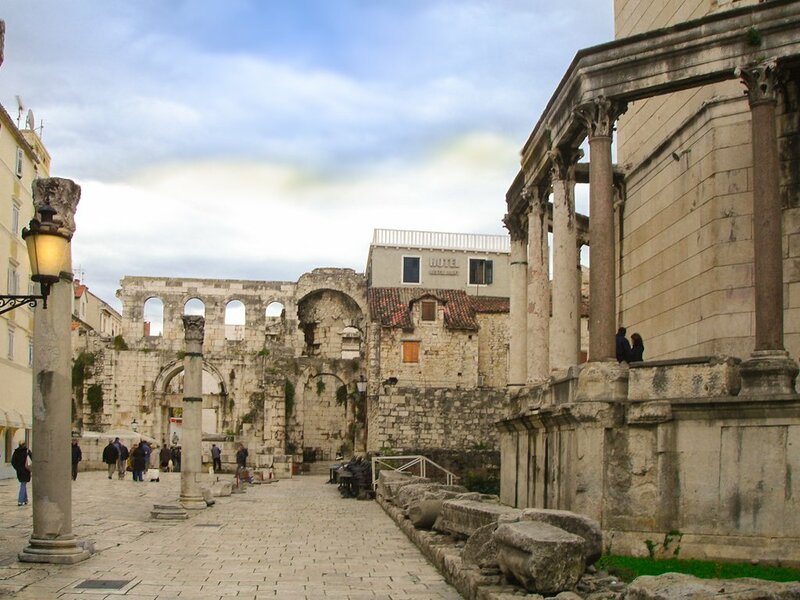 The city centre is built around the remains of Diocletian’s palace. 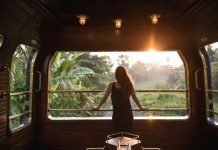 As soon as you enter you will feel like you have travelled back in time. The architecture has been preserved wonderfully, in fact, it is the best-preserved monuments of the Roman architecture in the world. It is a perfect starting point to explore the ancient city and soAK in the history of Croatia. Oh and for all you Game of Thrones fans out there, some of the scenes were shot at this palace – Daenerys’ Throne Room WAS FILMED in the basement of Diocletian’s Palace. Peristil Square is right in the centre of Split. 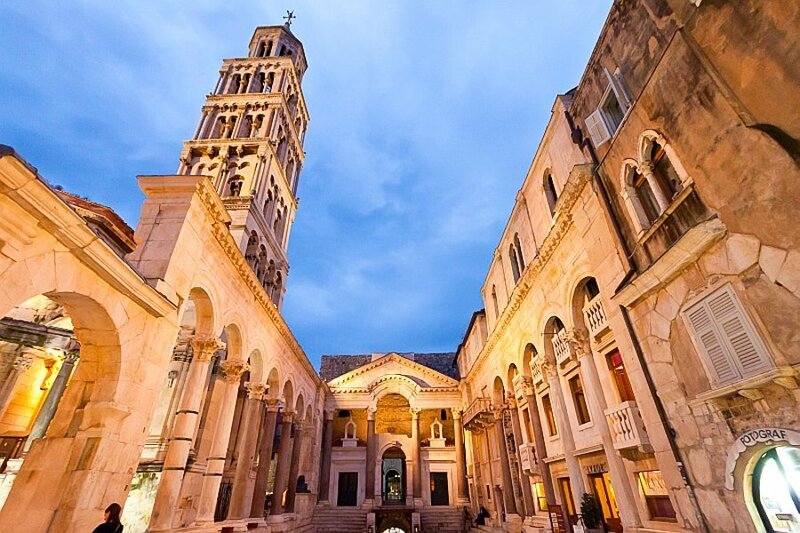 It is actually part of the Diocletian palace and a great starting point to take in the renaissance architecture of this ancient city. The best way to explore the old town is on foot, give yourself a few hours and just get lost in the narrow streets. 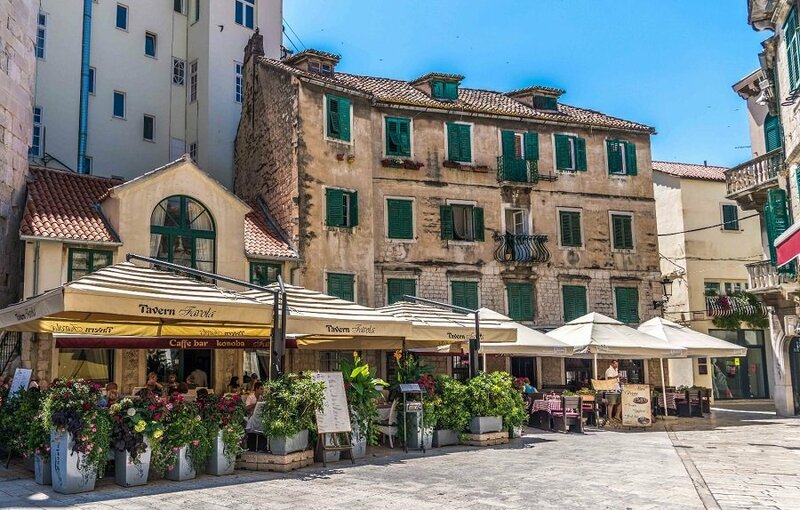 The old town is lined with local cafes with outdoor seating, grab an ice cream and take it all in! it is not every day that you get to stroll and eat ice cream in an ancient palace. The PerIstil Square is also worth visiting at night when local musicians show off their talent, there is a buzzing energy in the air which is worth experiencing. There is a good chance you have already spotted the bell tower of Split as it stands high in every landscape photo of this city. 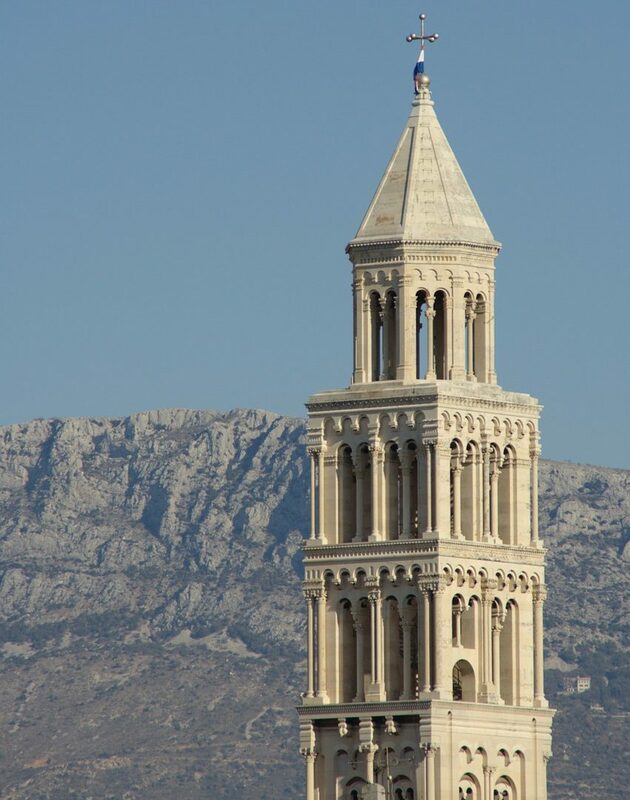 This Dalmatian Medieval architecture has been very well preserved and luckily today you can climb all the way up to the top and get some of the best views of Split. 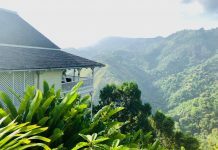 The climb to the top can be a little scary and the steps are steep but the unobstructed 360-degree views you get from the top is totally worth the climb. 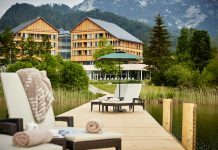 There is a small entrance fee of 10 Kuna. Once you are at the top you will be treated to two contrasting views of Split. 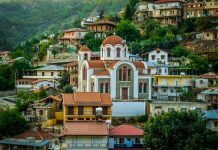 On one side you will see the red-roofed houses with the dramatic mountains in the background. Look the other way and you will see the blue Adriatic sea with boats leaving and arriving at the pier, you can even spot some of the islands at a distance. One of the best times to climb this tower is around sunset seeing the beautiful city during the golden hour is just magnificent. 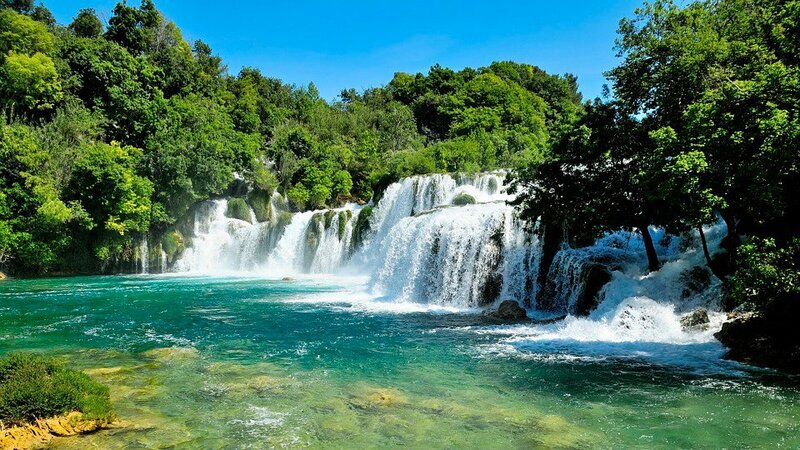 The famous emerald green waterfalls that Croatia is known for is less than an hours drive from Split. We highly recommended visiting the Krka national park if there is one thing you do while you are in Split, make sure you visit this waterfall and national park. Have a look at our full Guide to the Krka Waterfalls – this includes how to get there, what to expect and some useful tips and tricks to help you make the most of your trip. 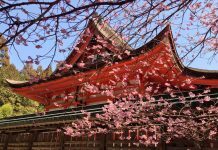 It it one of those national parks that can be visited during any season it is especially beautiful during the Spring and Autumn season. On the eastern side of the Diocletian’s Palace is a big open-air market called Pazar which sells everything from fruits, vegetables to clothes. 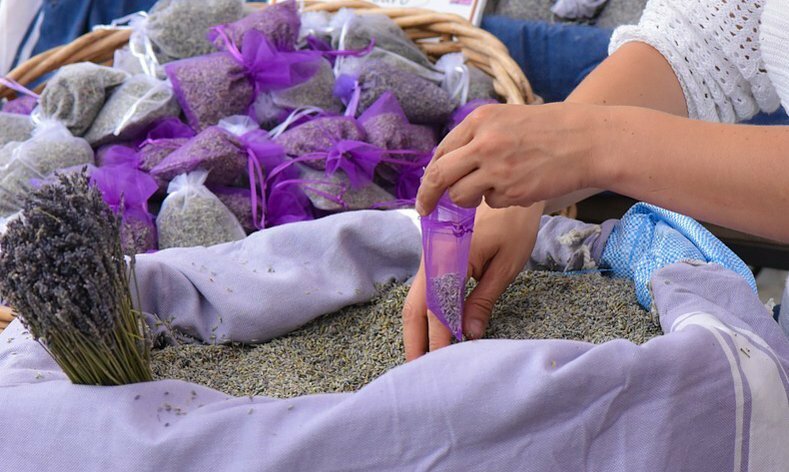 One thing that will catch your eye in this market is the number of vendors selling lavender, this is because Croatia is one of the largest producers of lavender – it is a perfect souvenir gift from Croatia. The markets are worth a stroll even if you are not looking to buy anything. 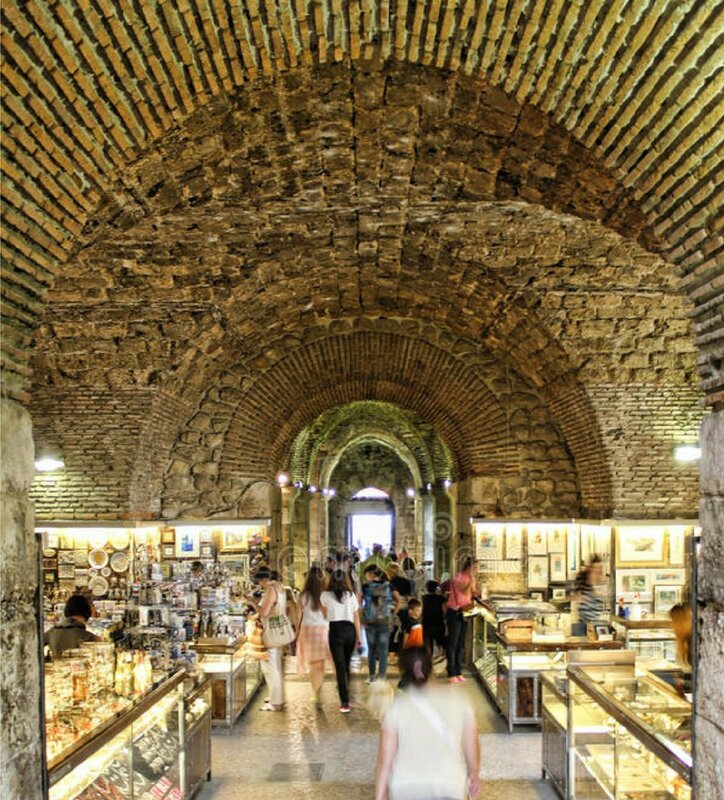 The basement of Diocletian’s Palace is filled with stalls where local artisans sell jewellery and crafts. It can be a bit touristy but it is a great spot for picking up local souvenirs. If you are after designer or the known high street brands Marmont street is the popular shopping area. This street is also home to a popular fish market called Ribarnica. Enjoying the Split Riviera from the seaside is a unique experience especially during the golden hour. The sunset tours generally start from the pier ALONG the promenade and last between 1 – 2 hours. It is a great way to see what surrounds split and get the panoramic experience. 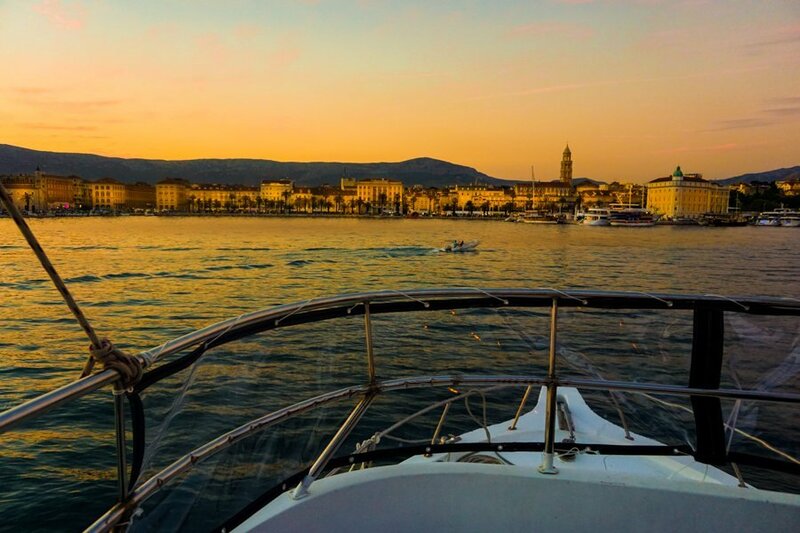 The best thing ABOUT DOING THIS TOUR is by the time you arrive back to Split the whole city will be lit up and you get to see the city in a different light from the water, add the dramatic mountains in the background and it is a picture perfect setting. If you do not get the time to book in advance there are plenty of stalls selling sunset tour tickets. If the bustle in the centre of Split gets a little too much for you Marjan hill is the perfect escape, however, getting to this hill requires some effort with 314 steps to reach the highest point. 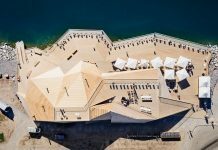 As a result of this, it is less frequented by visitors but if you have a few days to spare in the city and in the mood for a bit of fresh air it is a perfect site to explore and get a view of Split from the top. 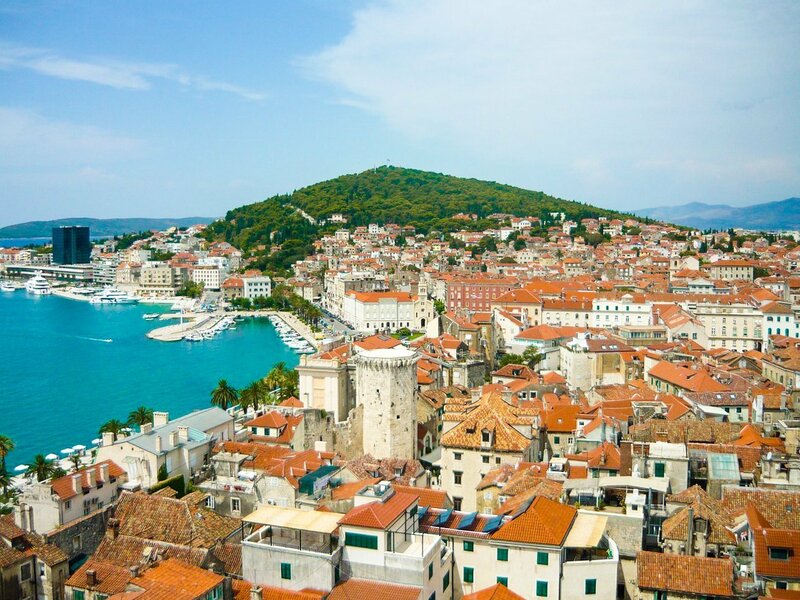 July and August are the peak months to visit Split however it can get too hot and crowded. 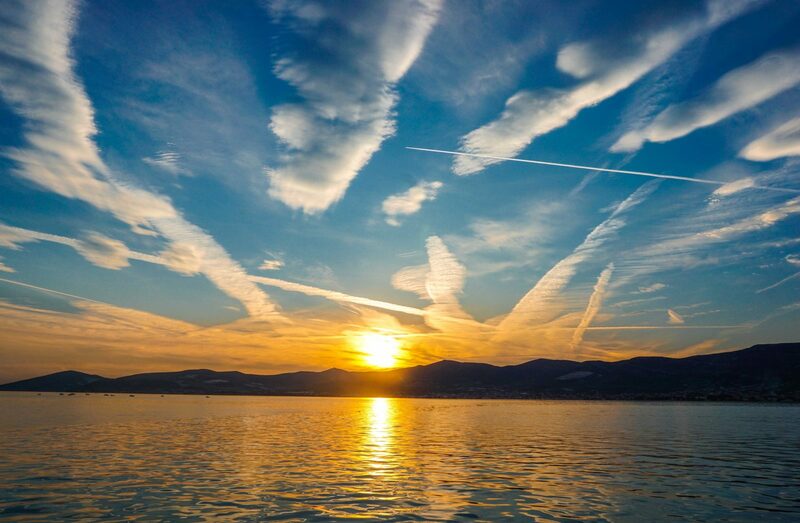 The best time to visit Split is around is between May and October. HOW MANY DAYS DO YOU NEED TO EXPLORE SPLIT?